Jennifer L. Armentrout’s Lux Series is one of the reasons why I started to read the YA genre! The Lux series is what launched me into the book blogging arena. I fell in love with all the banter between Daemon and Katy. Their romance gave me all the warm feels. I wanted more and ended up devouring the series and becoming a fan. With the announcement of THE DARKEST STAR to be released, I knew immediately that I wanted to dive back into the world of the Lux and the Origin. I could not wait to meet Evie. And Luc, well, if you’ve read the series, you know he is pretty much an unforgettable character even when in the background, so I had high hopes for sure. The banter is definitely what comes to my mind when thinking about JLA’s writing style. I thought the chemistry and banter shared between Luc and Evie was pretty fantastic. Luc is definitely swoon-worthy. Behind his boyish charm and devilish facade lies this tormented hero you can’t help but love — even when you want to throw the book at him. Evie basically finds out her whole life has been a lie in the story and the shock of it all definitely wins her the resilience award. Even though at times Evie seemed rash and maybe a touch immature, I loved seeing how she dealt with everything, especially her building attraction to Luc. Meeting him definitely turns Evie’s world upside down, so I felt she needed some slack character-wise. I love the whole concept of teens and aliens and The Darkest Star gives readers just that. Besides all the delicious banter in the book, there are a few appearances from favorites of the original Lux series, as well as some good old-fashioned alien vs. government conspiracies going on. The story takes place at the end of the Lux series and after a great battle on Earth has occurred. Luc’s background is the focus in this new series, and after many hints and possible reveals, readers finally get to find out what lies behind the boy who even Luxen are afraid of. 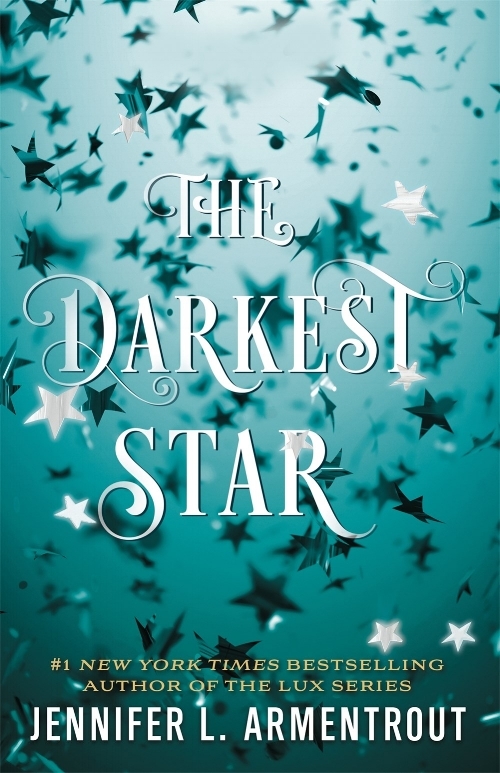 The Darkest Star by Jennifer L. Armentrout begins the new Origin Series which should definitely be a must-read for fans and a great way for new readers to jump into this fantastic world of the Luxen!